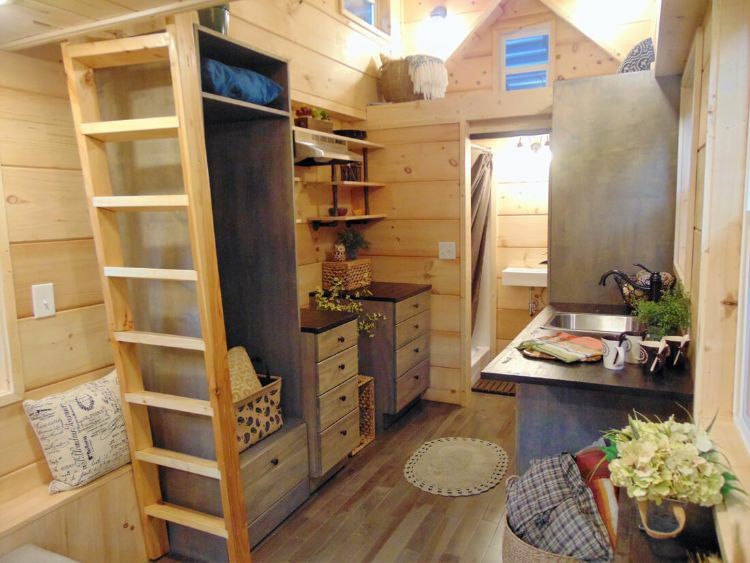 This lovely tiny house on wheels was conceptualized by the masterminds at Incredible Tiny Homes. It was completely custom-built for its owner, who was quite hands-on during the entire process. 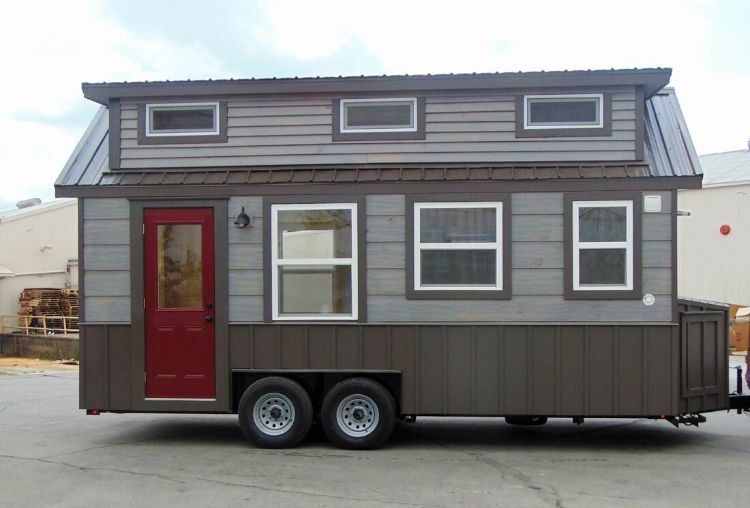 If you happen to be on the market for a new abode, the company now sells this 20-by-8-foot (6.1-by-2.4-meter) model at a base price of $32,500. But let's not linger around any longer—our tiny tour awaits! White window frames soften the darker hues used throughout the exteriors. Inside, the luscious hardwood flooring provides a nice contrast to the matte wooden walls. 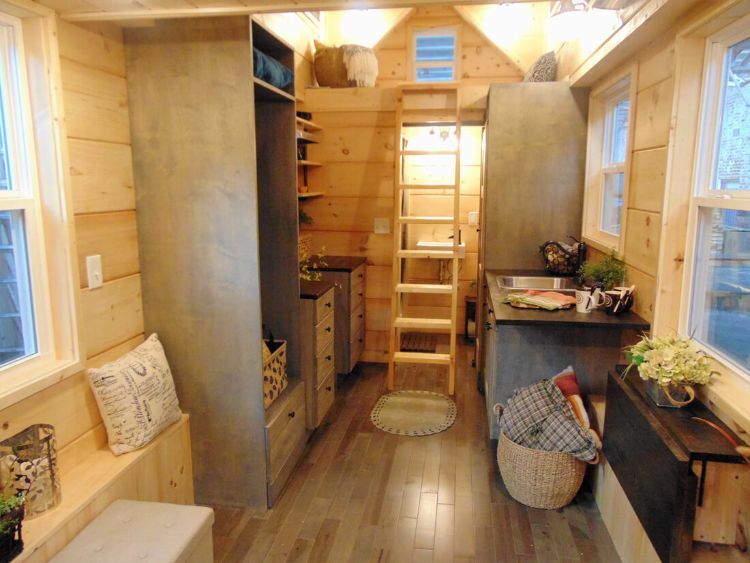 Here's a fun fact to go with the decor: The cottage's cabinets were built by Incredible Tiny Home's crafty customer. The open-plan design ensures all your living essentials are readily accounted for. As you may have noticed, the loft ladder can be easily transported from its hideaway spot to its utilitarian position. The bathroom is right at the end of the house. 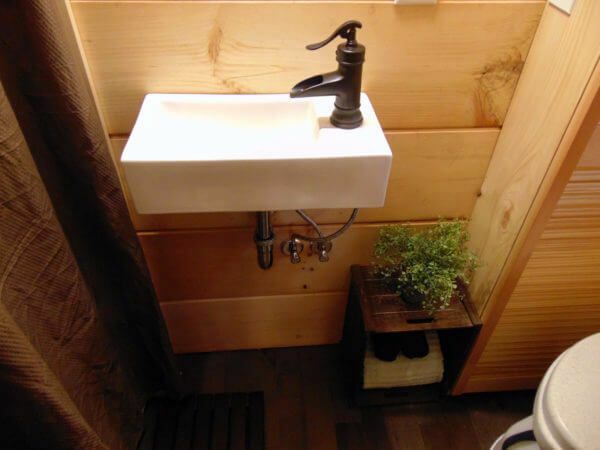 Along with this beautiful basin, this area is also fitted with a full-size 36-inch (91.4-centimeter) shower. 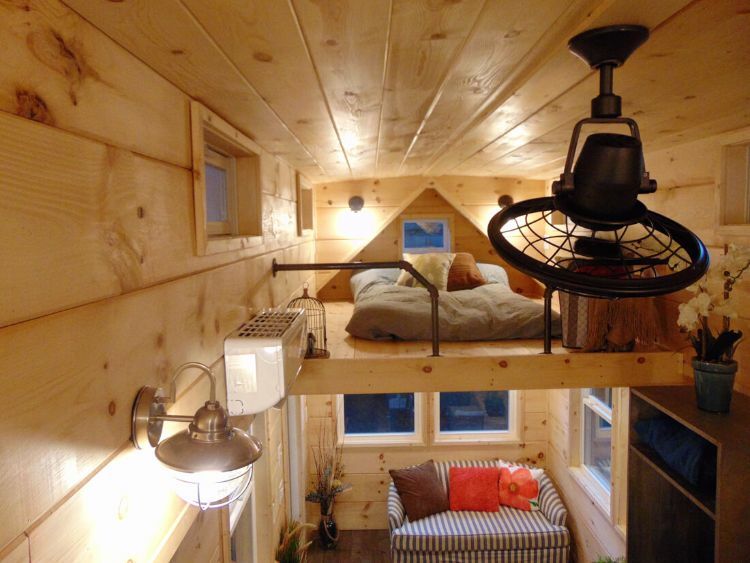 Before we head off, here's a closer look at that remarkable sleeping loft. The rustic lighting fixtures, and surrounding decor, add an interesting dimension to the Rookwood Cottage's upper level. 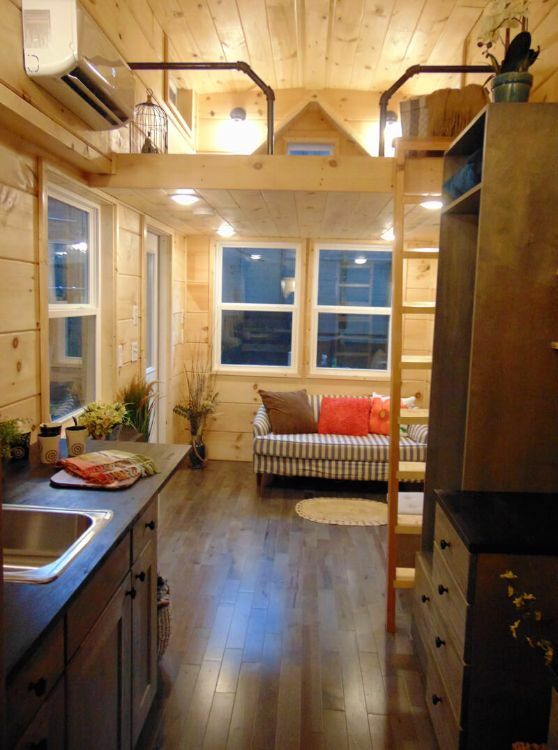 This beauty shows you don't have to live an austere life in a tiny house. You can really live here and enjoy all the feeling of a warm, busy, delightful home. 'It’s inventive and clever within the smallest means,' says Washingtonian juror Robert Silver of this surprisingly wide tiny home. Tania from Little Vintage Cottage has remodeled this little old trailer to make it a thing of beauty once again.